You've watched him for years, now finally see things through his eyes. 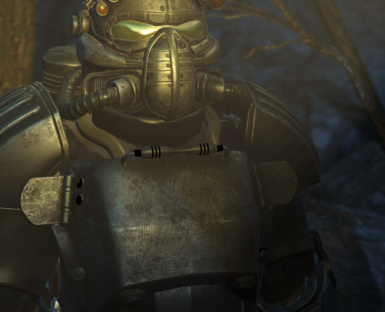 Adorn the Power Armor of ShoddyCast's Storyteller! PATCH 1.1 Released : Now comes with a fully-voiced Storyteller Companion and a modifiable EDNA! You've watched him for years, now finally see things through his eyes and make your own story. 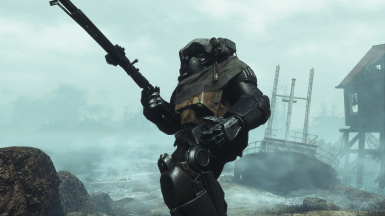 The T-49 Power Armor has become iconic as the Storyteller travelled the Wasteland, now the ROAD TO LIBERTY team is giving you the opportunity wear it yourself. 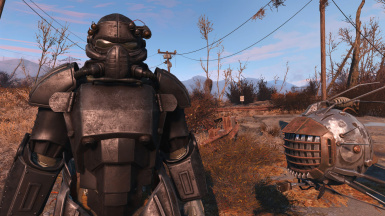 The T-49 Power Armor is an entirely new Power Armor for Fallout 4 that is independent and standalone. 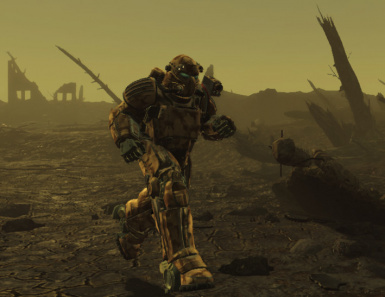 Take it from an early-game armor to a formidable mid-level Power Armor, or change it to suit the kind of Storyteller you are. Not only does it nearly every object modification that you might find on other Power Armors, but it also two special subtypes. Desert Recon not only grants the pilot superior recon sensors, but in sunlight, switches from fusion cores to solar power. Lastly, but not leastly, take the mantle of the Winter Death subtype, and live up to it's infamous reputation and let enemies' last thought be that they are safe. 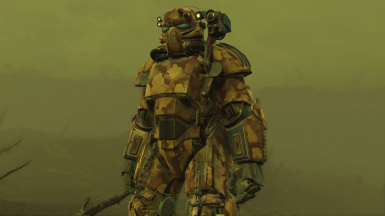 You can find this armor by picking up it's pieces from the very start of the game. Have a fusion core handy, as you'll find the Power Frame, complete with some T-49 pieces to the North-West of Vault 111. 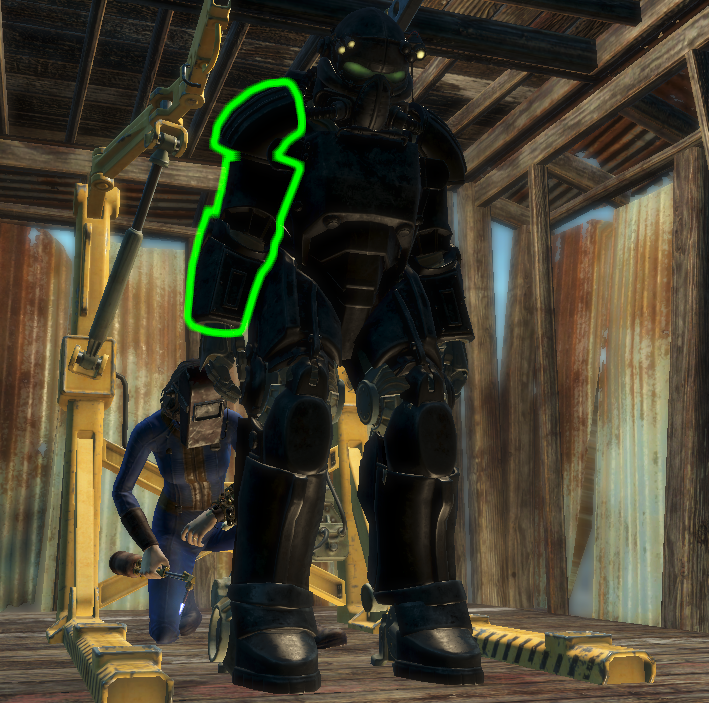 Find two pieces in Red Rocket Station, and finally find the T-49 Helm facing Sean's cot in your old home. There is very unlikely to be any compatibility issues, as the T-49 is just as independent as the Storyteller. The only issue may be the headlamp. 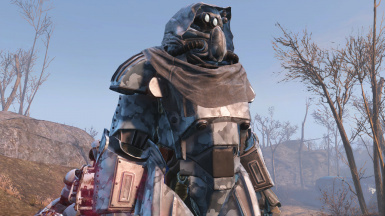 If you have any other Power Armor, or mod that uses the Add On Node 290-291, there may be a conflict and the headlamp will not work. - An Institute, Railroad and Military Coat. 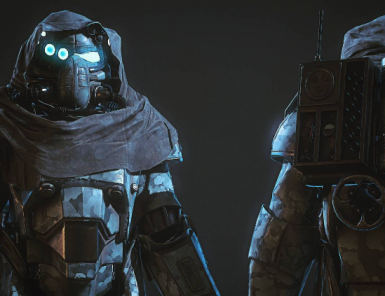 - Specific abilities of Desert Recon - being a superior kind of Recon Sensor and Solar Power - Fusion Batteries drain at a drastically reduced rate during sunlight. - Specific abilities of White Death - Specialized motors in the arm, stabilizes your aim allowing you to become a far, deadlier sniper - Not to mention as you infiltrate the stronghold of your enemies, hoping to be undetected, the White Death visor allows you to see enemies through walls. Allowing you to know where they are at all times, and them to have no idea where you are. 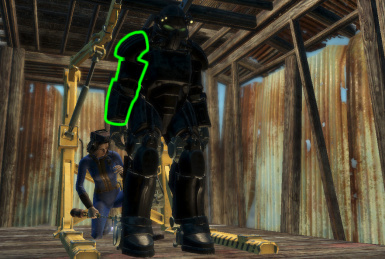 DogtoothCG - For bringing the T-49 to life, and the Storyteller into the Commonwealth.